Girls, I have dark circles under my eyes which are hereditary. The area underneath my eyes are more of bluish than dark. I cannot step out of my house without a good moisturiser as the area around my eyes always look very tired if I skip a moisturiser. Similarly, Concealing the area under my eyes is very important for me even if I skip the rest of the makeup. I prefer a HD liquid concealer or a cream based concealer that is very long lasting. Often it tends to make my under eye area really really dry. I was in the hunt of a good hydrating eye cream that can be worn under my makeup. I was using Bobbi Brown Hydrating Eye cream prior to this and I loved it. When I finished it I was planning to get another tub of it. 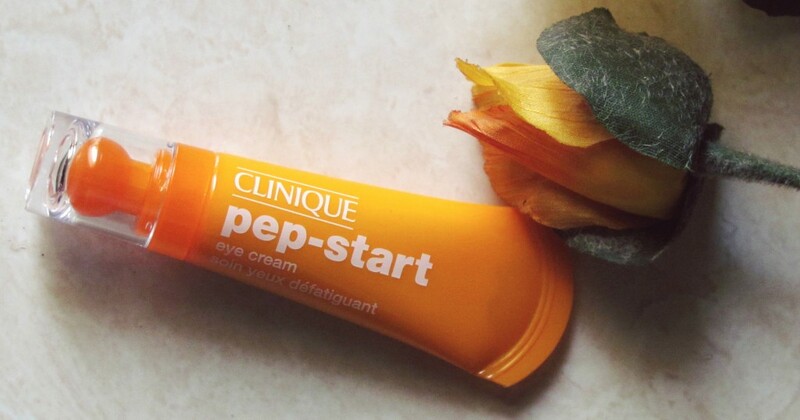 That was when Clinique sent me this newly launched Pep-Start Eye Cream. • Gently squeeze a small amount of product onto applicator tip. • Swipe in circular motion around eye area, including lids. • Use finger to smooth in any excess until absorbed. • Reapply as needed throughout the day. I have to also admit that I never sleep for 8 hours a day. With a busy work schedule and a lot of part-time blogging and freelancing works, I never get to sleep more. While an average person should get 9-10 hours of sleep every night, I get up to an average of 6 hours; End result – Looking exhausted! I am in search of products that can fake a good night’s sleep and that’s when I got to try this product. I have been using this since 3 weeks now. Clinique claims it is a hydrating eye cream that immediately brightens the under eye area. It has blend of peptides to help to combact the “visible effects of your busy lift”. The formula also promises to de-stress tired looking eyes so they look brighter, hydrated, and more awake. 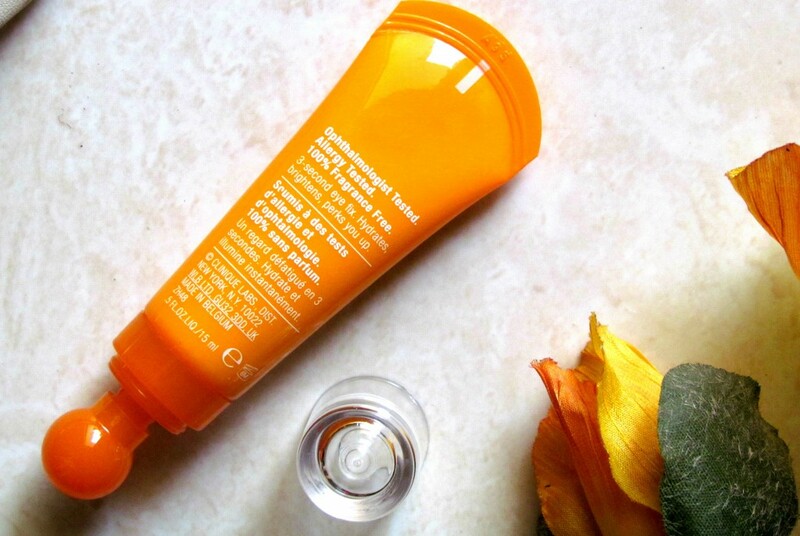 What I loved the most about this eye cream is its light weight formula and the packing that reminds me of fresh cut oranges! How bright is that orange packaging. Total Love! I prefer eye creams that are very lightweight, but have good moisturizing properties. It is a blend of seven peptides, caffeine etc which reduce puffiness. 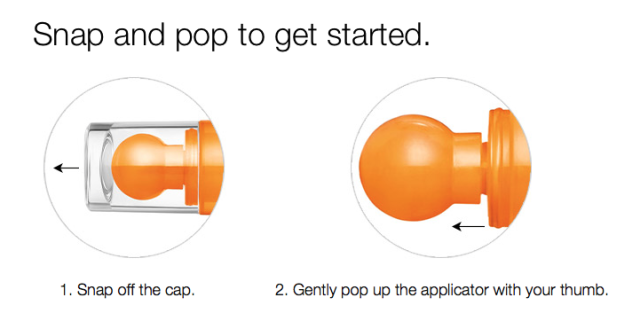 It has a really unique spherical massaging applicator,Totally a winner! 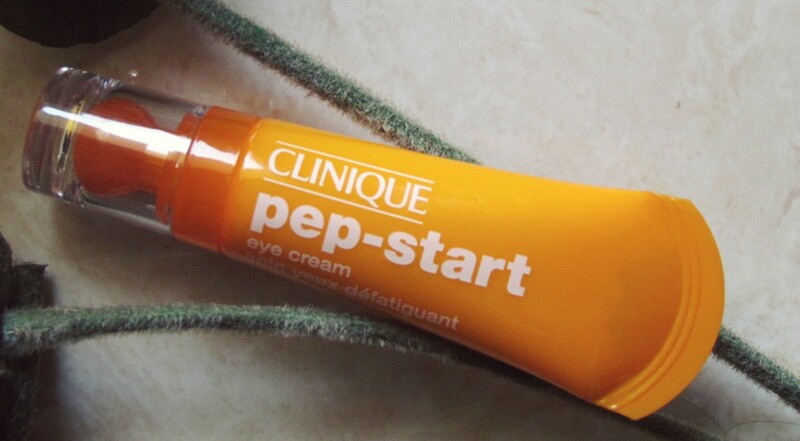 You need to snap the Pep-Start Eye Cream’s spherical applicator to dispense a small amount of eye cream from its tip. You just need a pea size to cover the under eye area. Dot the cream on your under eye area; pop the applicator to the closed position and swipe the product around in small, circular motions all around the eye area giving gentle pressure. Massaging the eye cream into your under eye area. if any product is left, just gently pat it along the area using your ring finger which has the least pressure. 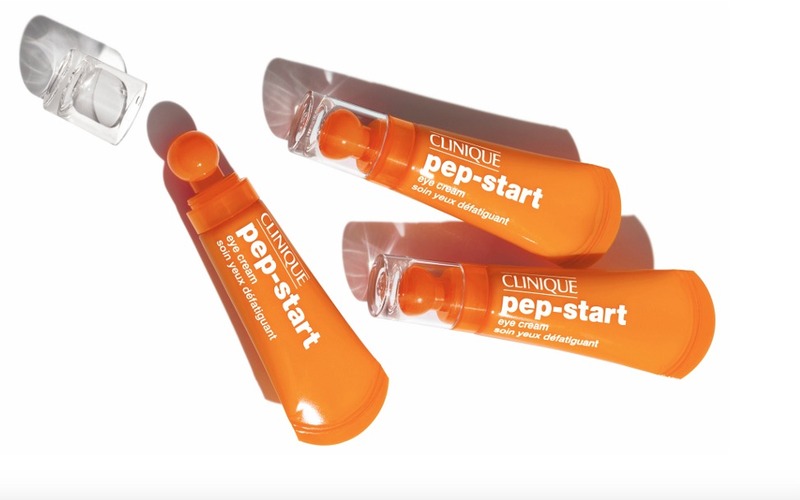 The peptides in Pep-Start help maintain and stimulate collagen which helps to plump the skin which in turn helps get rid of fine lines. Caffeine helps de-puff and energize the skin. The blend of extracts help to diminish the appearance of dark circles and brighten, hydrate and smooth the skin. Eyes are instantly de-puffed, hydrated and tightened. I notice that they appear really brighter. What makes this product awesome is that- it works on all skin types and can be used under makeup. You can reapply it any time during the day. I use it twice a day. I love how hydrated my under eye area is. It helps my concealer glide on easily when I apply it under makeup. I like the gentle massaging part. it really relaxes my eye area. 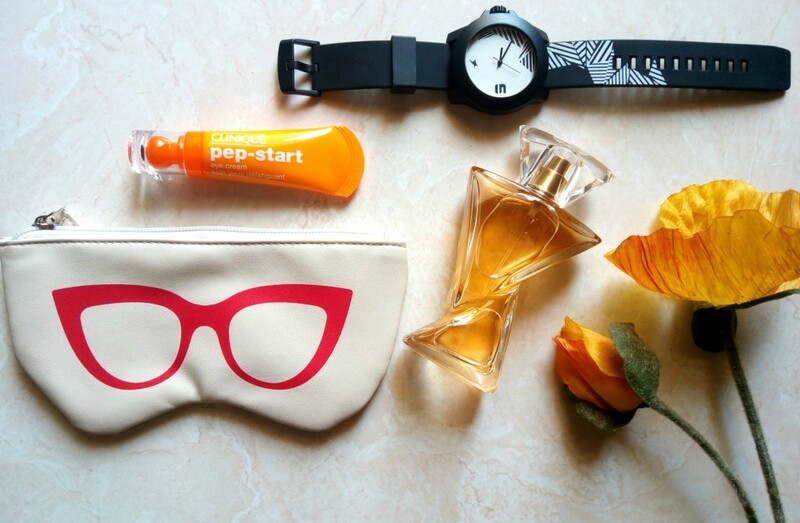 Overall, it’s a great eye cream, that is lightweight, immediately wake up tried eyes, remove puffiness etc. 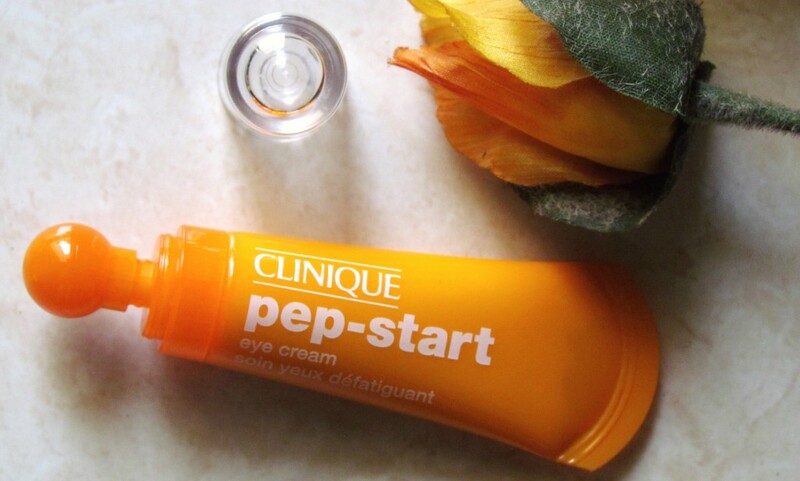 If yo are looking for a good hydrating eye cream to wear under your concealer, it’s awesome for that as well. For puffiness around the eye area- This product is perfect. On Contrary, If you have very bad dark circles and if you are looking to lighten them, This might not be the right choice for you. I didn’t notice any dramatical difference on my dark circle reduction or maybe it’s too early to tell a result. I will continue to use this for one more month and I will give a final opinion about how effective it is for dark circle removal. Makeupholic World Edit ; Date : 27 April 2016 – I am really loving the results.. I massage my under eye area using this product. I initially apply a teeny amount of cream on my under eye area and I pop the applicator to the closed position and swipe the product around my eye area in small circular motions. I do this every night after cleansing and toning. I massage for about 5 -6 minutes. I seriously notice a big difference on my dark circles. My under eye area appears a lot lighter and I love the gentle pressure while massaging. I am definitely repurchasing this product when I run out of it. Here’s the result after using this product for more than a month. I soo wanna try out this eye cream, now that I’ve read your review. Thanks Renji! 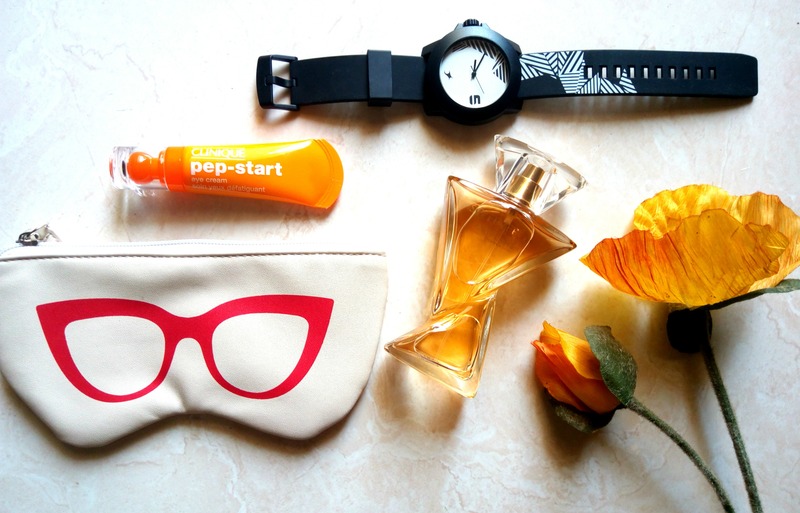 xoxo – C – Style.. A Pastiche! Along with dark circles, I also have puffiness under my eyes especially in the morning. Will give this one a shot.